10 Years of Movie Entertainment and Beyond! 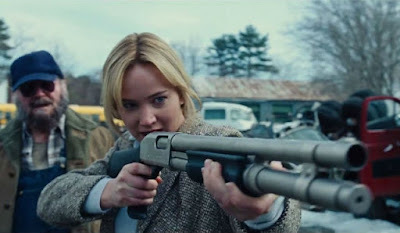 The latest Jennifer Lawrence, Bradley Cooper and Robert De Niro onscreen reunion happens in “Joy” – the movie’s trailer debut sees the stars in a family comedy drama directed and written by David O’Russell. 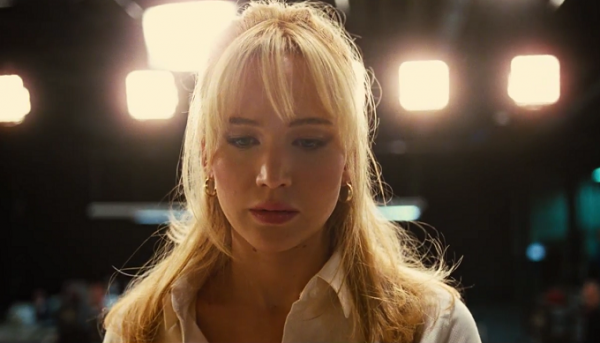 “Joy” is the wild story of a family across four generations centered on the girl who becomes the woman who founds a business dynasty and becomes a matriarch in her own right. Betrayal, treachery, the loss of innocence and the scars of love, pave the road in this intense emotional and human comedy about becoming a true boss of family and enterprise facing a world of unforgiving commerce. Allies become adversaries and adversaries become allies, both inside and outside the family, as Joy’s inner life and fierce imagination carry her through the storm she faces. “Joy” is based on a true story about Joy Mangano, who invented the phenomenally successful “Miracle Mop” in the 1990s. Joy founded a company named “Ingenious Designs,” which she eventually sold to USA Networks, the parent company of the HSN. By 2001, she’d sold five million Miracle Mops worldwide, and had more than $200 million in annual retail sales, according to a New York Times profile. Touted to be as a major awards contender, “Joy” also features an remarkable cast that includes Edgar Ramirez, Isabella Rossellini, Diane Ladd, and Virginia Madsen. Like David O. Russell’s previous films, Joy defies genre to tell a story of family, loyalty, and love. “Joy” will open in cinemas very soon in February 2016 (Philippine cinemas) from 20th Century Fox to be distributed by Warner Bros.
Meet the Light Fury in "How To Train Your Dragon: The Hidden World"
“Bakwit Boys” — the rockin’ romantic musical with a heart! MovieNews.Me is a website dedicated to give you some of the most relevant movies and entertainment news around us. So sit back and enjoy the show! RPG Metanoia 3D movie trailer, plot summary and information!